Check if your profiles are in C:/Users/<username>/OneDrive/Documents/Euro Truck Simulator 2/profiles folder. "00:39:37.000 : <ERROR> [dx9] Present failed. [0x8007000e] 00:39:37.042 : <ERROR> [dx9] Present failed. [0x88760868] 00:39:37.077 : <ERROR> [dx9] Present failed. [0x88760868] 00:39:37.091 : <ERROR> [dx9] Present failed. [0x88760868] 00:39:37.107 : <ERROR> [dx9] Present failed. [0x88760868] 00:39:37.123 : <ERROR> [dx9] Present failed. [0x88760868] 00:39:37.123 : [gfx watchdog] Triggered due to 6 consecutive swapbuffers fails. 00:39:37.123 : [gfx watchdog] Forcing graphics reinitialization. 00:39:37.358 : [gfx] Trying to set 1366x768 60Hz (fullscreen) 00:39:37.449 : <ERROR> [dx9] Failed to create D3D9 device (tried 1 times)" This means your graphics card is not coping anymore with newest game version, and thats why you see that "loading screen". "00:00:15.872 : [dx9] Adapter #0: NVIDIA GeForce GT 415 / 972 (1024) MB (nvd3dumx.dll, 21.21.13.4201, 20161114)" Your graphic card is below the minimum spec so I just say its time to upgrade if u want play ETS2. But you can of course try install newest graphic card drivers, lower graphics settings in ETS2, close background apps, open ETS2 in OpenGL mode. About these "Missing accessory/Failed to open file" errors, its just missing DLC, and these not cause game crash. Thanks for posting log. It confirms your computer is not able anymore to run the game in a stable state. "NVIDIA GeForce 9600 GT / 497 (512) MB (nvd3dumx.dll, 21.21.13.4201, 20161114)" "00:02:41.975 : <ERROR> [dx9] Present failed. [0x8007000e] 00:02:41.995 : <ERROR> [dx9] Present failed. [0x88760868] 00:02:42.012 : <ERROR> [dx9] Present failed. [0x88760868] 00:02:42.029 : <ERROR> [dx9] Present failed. [0x88760868] 00:02:42.051 : <ERROR> [dx9] Present failed. [0x88760868] 00:02:42.078 : <ERROR> [dx9] Present failed. [0x88760868] 00:02:42.078 : [gfx watchdog] Triggered due to 6 consecutive swapbuffers fails. 00:02:42.079 : [gfx watchdog] Forcing graphics reinitialization." You can try install new video card driver (you have one from 11/2016), but maybe not change things at all, this driver is latest for you card, released 12/2016. https://www.geforce.com/drivers/results/112594 Also, you can try open single player in OpenGL mode. My own opinion is its the time to get new PC. Based on the specs in your game log, your computer is quite low spec. You have an old 2-core cpu, and only 3.5GB of RAM, with only 2GB available when you start the game (minimum requirement is 4GB in Steam). If you see loading screen many times, this is typically experienced by a graphics card that is not anymore coping with the game. Options: 1. Update your videocard drivers (if it's possible for your card) 2. Run the game in OpenGL (3. Revert to an earlier version of the game (but then TMP will not work)) 4. Buy a new graphics card/PC If you would like to look further, post your game.log.txt to pastebin.com (no account needed) and then post the link here. 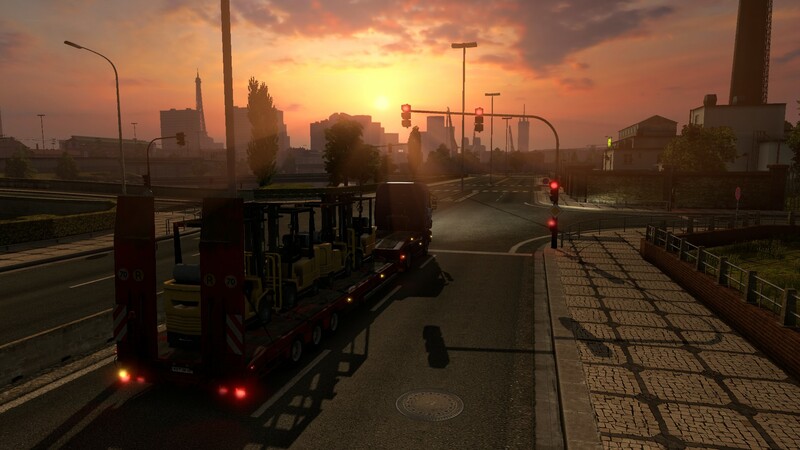 The file can be found at "C:\Users\*USERNAME*\Documents\Euro Truck Simulator 2" for a default install. Hi, based on the specs in your game log, your computer is quite low spec. Intel 2-core CPU, NVIDIA GeForce 9500 GT 512MB graphics card, only 4GB ram with only 2.5GB available when you start the game. "00:10:45.536 : <ERROR> [dx9] Present failed. [0x8007000e] 00:10:45.541 : <ERROR> [dx9] Present failed. [0x88760868] 00:10:45.546 : <ERROR> [dx9] Present failed. [0x88760868] 00:10:45.551 : <ERROR> [dx9] Present failed. [0x88760868] 00:10:45.561 : <ERROR> [dx9] Present failed. [0x88760868] 00:10:45.568 : <ERROR> [dx9] Present failed. [0x88760868] 00:10:45.569 : [gfx watchdog] Triggered due to 6 consecutive swapbuffers fails." This means your graphics driver is crashing and basically your graphics card can't handle the game anymore. You can try these things: 1. Run the game in OpenGL mode. 2. Update your graphics driver, u have driver from January 2016. https://www.geforce.com/drivers 3. Close down other programs so that you have more RAM available. 4. Try low graphics settings. Each game release increases the requirements of your computer. So u should think upgrading your computer. 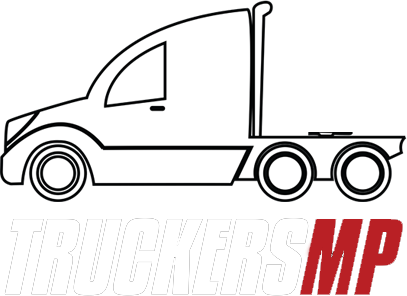 For guys who dont have all map DLCs yet, there is Map Booster Bundle: https://store.steampowered.com/bundle/5555/Euro_Truck_Simulator_2_Map_Booster/ Its not in ETS2 store page, so only that link works. Update 1.33 When will it be released?